I found this article about how to verify your blog for the purposes of your Pinterest account - it worked for me - but I must say I am always terrified any time I have to go into the template section of the dashboard! 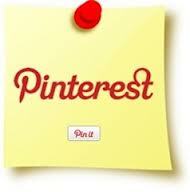 I will also be keeping an eye out for any good basic guides about Pinterest for you. If you know of any please just let me know. Thanks for much for posting this information about Pinterest. I've saved the link. Good idea to post this information...took me a while to figure it out! This was so helpful! I can't tell you how many times I tried to verify my website and had no idea what I was doing.Thanks!